Rev. 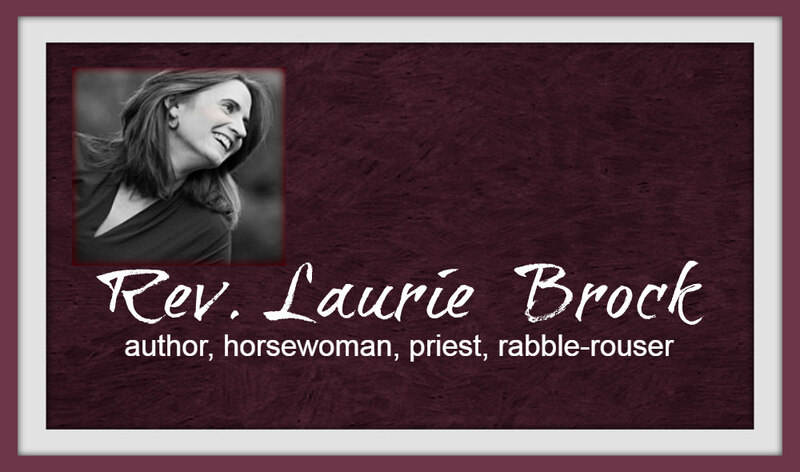 Laurie Brock: But You MUST...Because I Said So. But You MUST...Because I Said So. Harmless enough sentences we’ve all likely said to another person in our enthusiasm. But really, might our choice of words reveal something deeper? Are we telling another what to do? Are we assuming that simply because we loved something, because we enjoyed a movie, book, or event, that they will, as well? She offered that over the years, she’d come to dislike these attempts to tell her what she would and would not like, because these phrases, however harmless they may seem on the surface, imply that we know what someone else will like and dislike, what someone else needs without asking him/her. She began noticing when she used these words. She offered a holy moment of insight of the power of words and actions in relationship, even in something as seemingly small as a movie or book recommendation. One approach directs a person, assuming that we know better than they their own needs and wants. The other shares information with the other in grace, honor, and love. One inflicts, the other invites. Relationships rooted in love are about invitation. We invite another. We offer another our ideas, our thoughts, and our honesty and we listen to her/his responses. Holy relationships speak in “I” statements, a basic tenet of Pastoral Care 101. We speak for ourselves, not for another. And, when we ask, “What can I do?” or “What do you need?” are we willing to hear the response if it doesn’t mesh with what we’d hoped to offer? Do we offer grace to another, hearing and respecting their needs? Or do we decide what their needs are or are not and act accordingly. Do we go into convince mode, discounting the other’s response as we push our own agenda? Followed by, "What fear/hurt/pain in me am I trying to avoid by focusing on another?" Because that's at the root of our inflicting actions. After all, transmitting our uncomfortable emotions to another and "fixing" them is far easier, we think, than facing our pain and offering it to God for transformation. So we continue with the pattern. We act without asking. We tell another what we want to do, discounting another. And we feel good about our actions. When we get push-back, when we are informed our actions and words are hurtful, we feel hurt. We may become angry. After all, we’ve painted these words and actions as ways we are super-caring to others. But when we scrape off the paint, what we may see is a need to control others, a need to assume others will not take care of themselves (which may be true, but then we must ask why we feel responsible for another adult’s actions), and a need to respond to our own fears and hurts by inflicting ourselves upon others. What we may hope to communicate is love. What we communicate is doubt that another person is capable, that we don’t want to give another the grace to name his/her needs, and that we know better for them than they do (which, in turn, devalues the dignity of another). Grace in relationships listens and trusts, even if we believe the other may be making decisions we wouldn’t make. God has watched humanity make decisions throughout creation and expressed God’s concern and God’s joy. But in the end, we have been allowed grace to live our lives, hopefully learning from our choices. Fear anticipates the needs of others and decides we know better than they. Power dictates to another in an attempt to fix them while ignoring our own need for healing. Doubt distrusts the presence of God in another’s journey and dictates the path, thinking we know better. Love allows another grace to name her needs and for us to hear them. Period. Love invites the other to speak his own truth and to name his own needs. Love reminds us we are called to love and care for ourselves, to treat ourselves and souls with healing grace, and to take care of ourselves. Love acknowledges we all have our journey, knowing that God is present, even in ways we don’t understand (and especially in ways we don’t understand). Are you saying You cannot share your experiences or it will sound like you know something the other does not know. That stops teaching. And it does keep secrets. Hmmm? No, I'm saying that when we share our experiences, we might strive to honor the other person by naming our experiences as ours, not at universal truths to which everyone must adhere. That leaves holy space for teaching and learning, as well as honesty and integrity.